I've just bought an Acer Aspire One and I must say, it's the best thing since sliced bread. True that, out of the box, the Linpus Lite OS has a few rough edges, but just follow the various tips found on the web and you end up with a perfect little netbook. 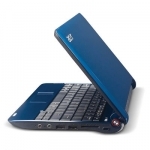 But before jumping in, check out the Acer Aspire One site. You can find a link in the System Information applet, on the Help tab. There you can find a number of extras packaged for simple installation on the Linpus OS. However, don't be tempted to use the VLC installer, it has the same codec limitations as the original media player. You will also find Firefox 3.0 installer there. Much easier to use than some of the manual instructions out there and avoids some potential problems. Unfortunately, it does install a lot of language packs. Desktop pop-up menu with access to Linux programs and commands hidden from the standard desktop, but use with care. I like Ctrl+A to "select all", so now you can get to the keyboard settings, select "default" behaviour. Seems like a good idea to get this performance tweak done early on. If you have the SSD model read these comments. Might make the drive last longer. Use mousepad to add any local network machines you might use. Media servers etc. Keep running this until you have all the available updates installed. Use a wired connection, there might be some large downloads. Do not use the Software Updater on the Desktop Menu. That will cause you problems. If you configured your wireless connection earlier, you probably need to do it again after the updates. Download and install any extras from the Acer site you feel appropriate. Also look for the MS Core Fonts rpm, which will make web pages look more as intended. At this point make a backup, as this is a good state to restore back to, if any of the following go wrong. I used the installer from the Acer site, then disabled all the unwanted language packs. Must find out how to remove them and save some space. Want to browse those NAS drives? fuse-smb will allow the file manager to browse your home or office network. Much easier than using mount. I didn't find any Linpus specific instructions, so here are the steps I used. Don't use the Acer installer, if you want to play DivX movies and so on, use the instructions from the tweaks. Don't forget to disable the extra repositories afterwards. I inadvertently picked up updates which started to cause problems. I like Songbird and it works well on the AAO playing streams from my media server. A shared network or wireless printer works well with a netbook. But then, you can always save your masterpiece to a USB Stick and print it on your main PC. Check everything is running smoothly, then back it up by taking an image with PING. I hope you find this list useful. Should you need any help or further detail, let me know and I'll expand the information as needed. Email address or feedback forms are available under Contact and Support.